What the Hell is Spotify Announcing This Time? Spotify’s announcing something on April 24th in New York, and we’re not exactly sure what it is. We do, however, have a few ideas: recent developments suggest the company’s going full speed ahead in its quest to replace the humble car radio and your favorite shock jock with its own streaming service, no matter how decrepit your vehicle. As recently as February, according to The Verge, a select few Spotify users received an offer for an in-car hardware accessory designed to accept voice commands. The offers included a monthly subscription fee that varied between $12.99 and $14.99 per month, with the latter reportedly including 4G LTE connectivity and support for Amazon’s Alexa voice assistant. Spotify, seemingly aware of the potential slip-up, responded to user inquiries with the following statement in a forum post: “We understand the frustration. 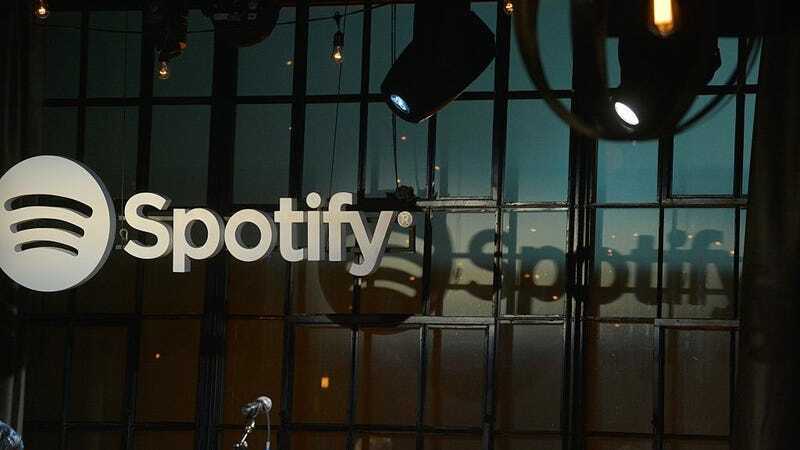 Right now we don’t have any news on this, but we’ve let the right team know it’s something you’d like to see.” In an exchange between a Twitter user and Spotify’s support account, the company stated: “We’re afraid this product is not available for pre-order yet, but we’ll make sure to let everyone know once it is.” Whether that sounds like a confirmation or not is up to you, but I wouldn’t be surprised to see the streaming-accessory-disguised-as-an-air-freshener show up at the event. For those actually looking for some built-in streaming music action, Spotify recently announced its own native app inside Cadillac’s infotainment system (which currently lacks support for voice control). A hardware accessory for your whip would make sense for Spotify users who aren’t exactly in the market for a new ride with native Spotify support, either through CarPlay, Android Auto, or Spotify’s own in-car apps. In addition, releasing a device with support for Alexa would make it especially fun to scream “Hey, Spotify, play Huey Lewis & The News’ ‘Sports’” as you hurtle down the highway, unsafe at any speed.